1st to 3rd of October were very special dates for me! 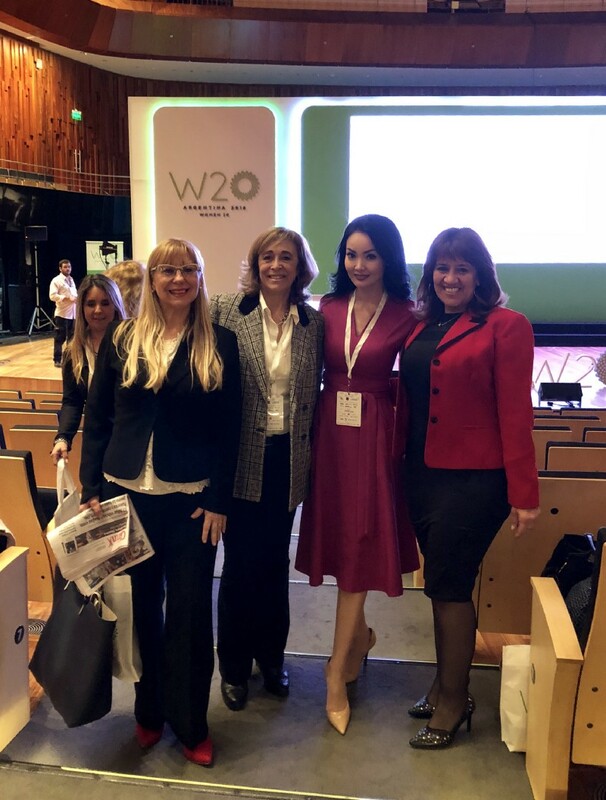 It was an honor to attend W20 Summit in Argentina and I would love to share with you my insights on the event, what I found appealing and how did this event impact my personality, me as a human being and me as a woman! 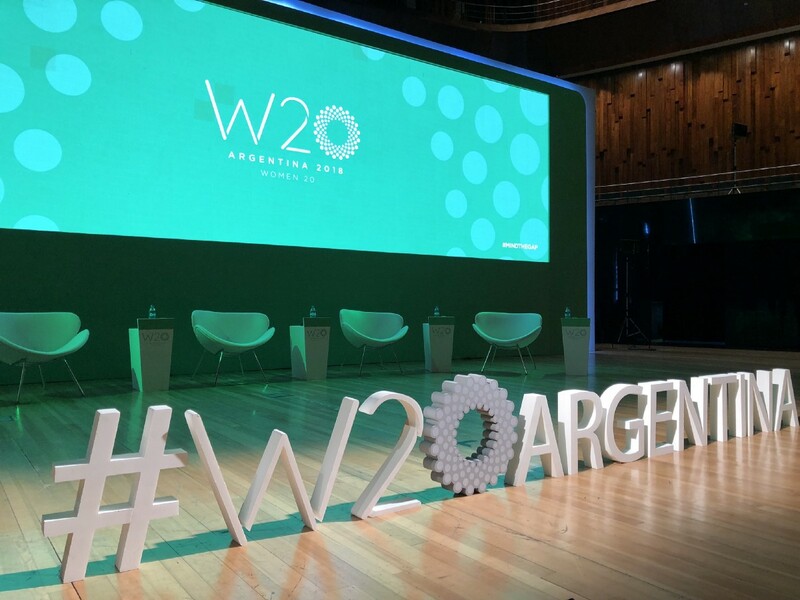 First, let me share what W20 is and what they are aiming to do. 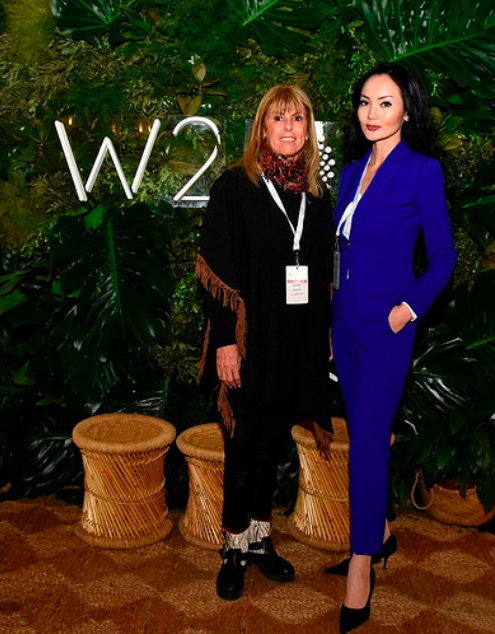 Women 20 is an official engagement group of the G20 formed by an international network of women leaders from civil society organizations, the business sector, entrepreneurs and think tanks. 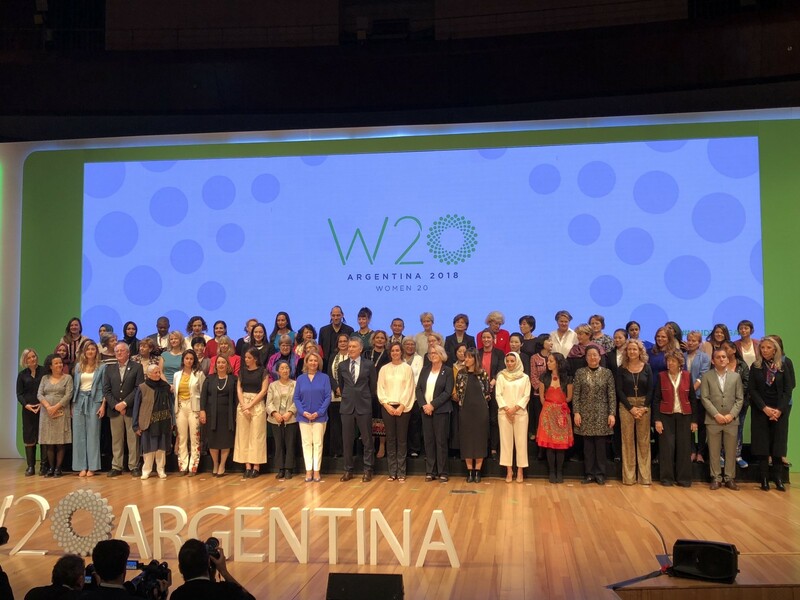 Its objective is to influence decision-making groups in G20 to carry out policies towards gender equality, accompanying the goal of advocating for more prosperous and inclusive societies. 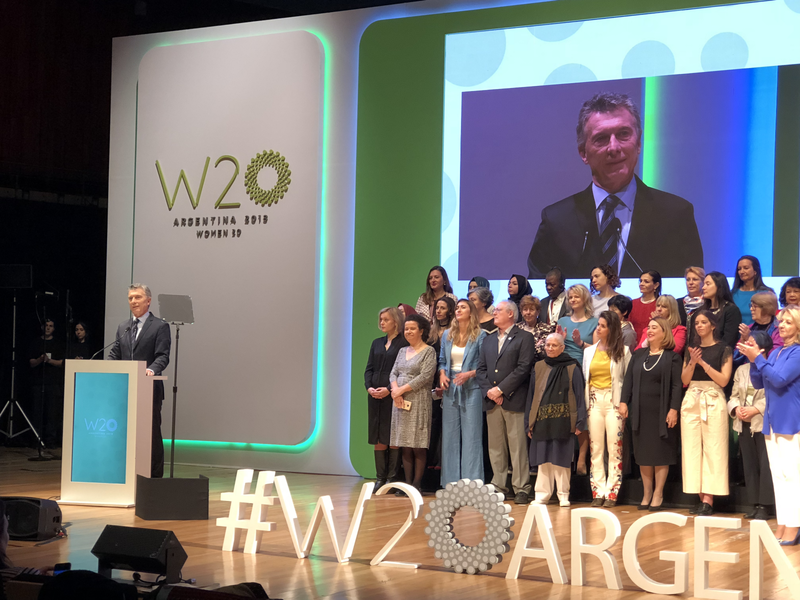 This can be accomplished through more access to education, health, and political participation, but also ensuring the full participation of women in economic activities. 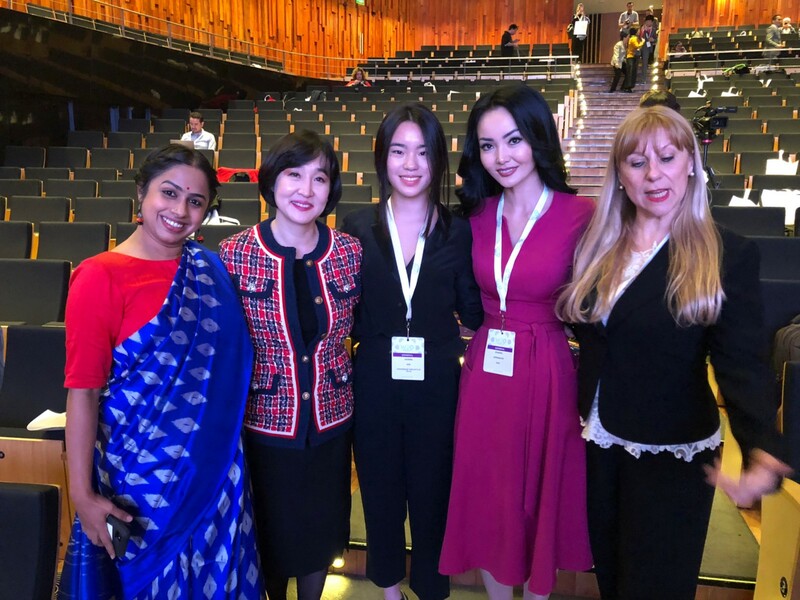 There were 4 main topics discussed in the Summit regarding women labor inclusion, financial inclusion, digital inclusion, and rural development. Unfortunately, women worldwide are facing all of these issues. In some countries women are not treated with respect, they are considered as the lesser gender and we have had our share in the history books of suffering disparity and discrimination. But even today the issue is not solved. did you know that women are responsible for producing half of the world’s food but only 4% of them receive an income out of it? evidence shows that by closing the gender gap in economic participation, the global economy’s GDP would increase by 26% by the year 2025 (5.3 trillion dollars). Now that is a very big number, isn’t it? Women need a voice, they have rights and this is why this Summit aims to give insights on how we can give solutions to such a big important matter. 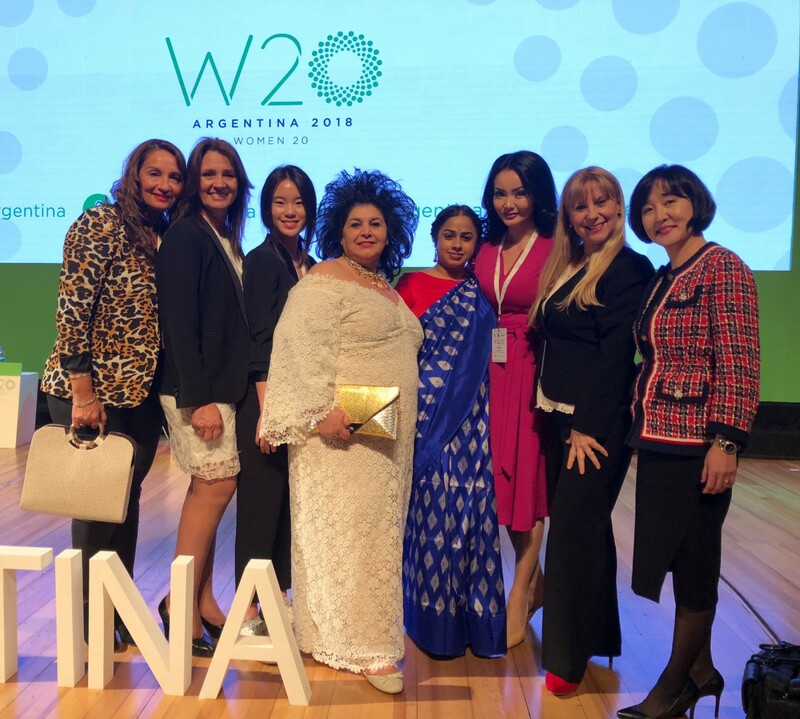 I had the chance to meet some amazing people during my stay in Argentina and got inspired from some brilliant women who are in the frontier of what’s happening. I’m going to mention some of them that affected me directly and their amazing input on the event. 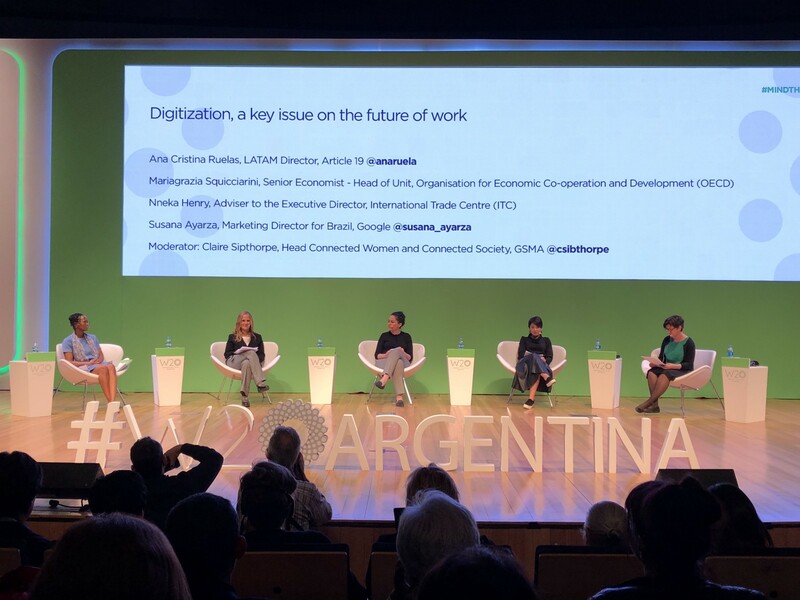 Silvina Moschini, Founder & CEO of SheWorks very accurately said about digital inclusion: “The Around 51% of women with children leave their jobs due to rigid and obsolete, analog working models in a world with the digital economy. That is why we cannot any longer cling to rigid models that are geographically limited”. 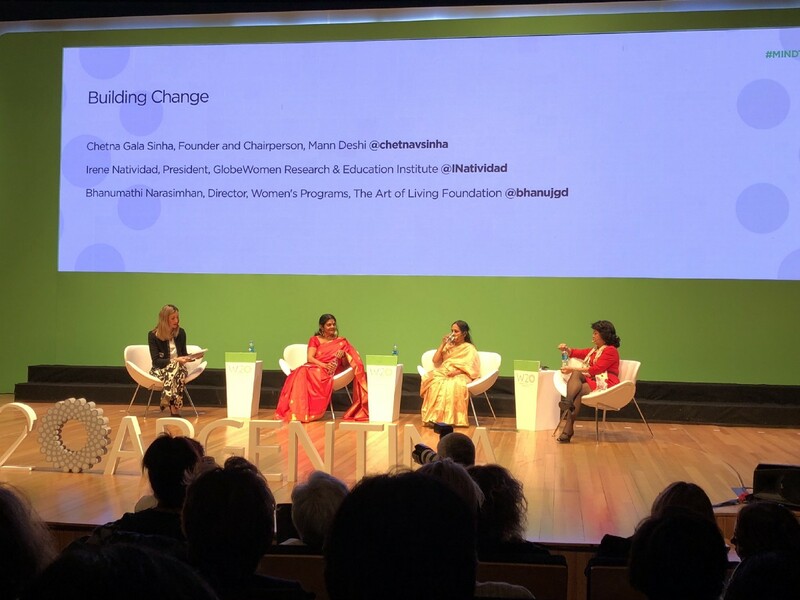 Chetna Gala Sinha, Founder of Mann Deshi dedicated to the economic empowerment of rural women stated: “Women wanted to generate savings and there were no investors, these women taught me very much”. Doesn’t it make you wonder? There are many women that have founded a business or have had an amazing idea but they have not been equally funded as men. This has to change! Women founders and CEOs can be as brilliant as Men in their job. I came out of the event inspired, motivated, touched and with more dedication than before. I have to admit i felt quite selfish and lucky, cause i faced many difficulties during my life but i realized that there are women who don’t have a say at all, who are suppressed and have no voice of their own! In conclusion i firmly believe that the solution to all issues is : EDUCATION. 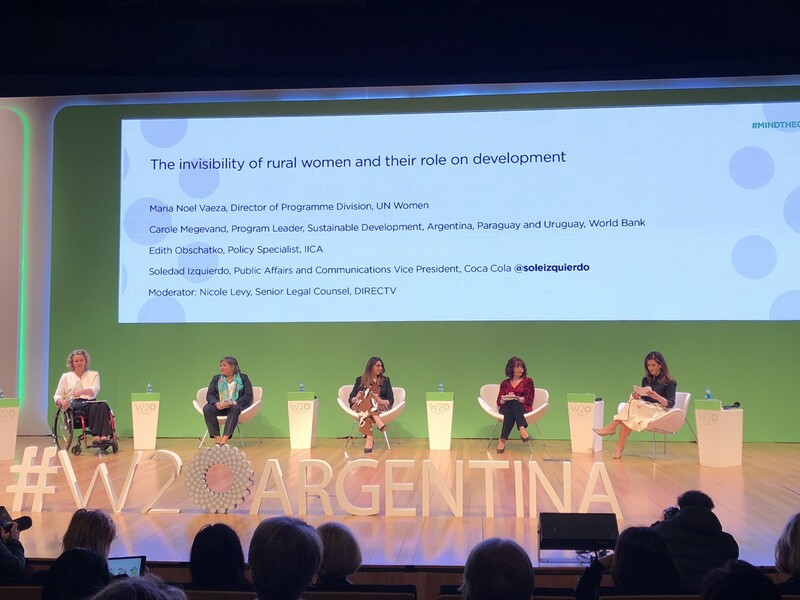 Education is the key to all doors, to financial inclusion, to increase chances in a labor market, to digital inclusion but most importantly to rural development of women. Rural women are those who suffer the most. Unity can bring change! And i’m happy i was part of that change! I committed myself to this historical event not only because i’m a woman but because i believe in change, i believe in a better world and a better environment for our children. 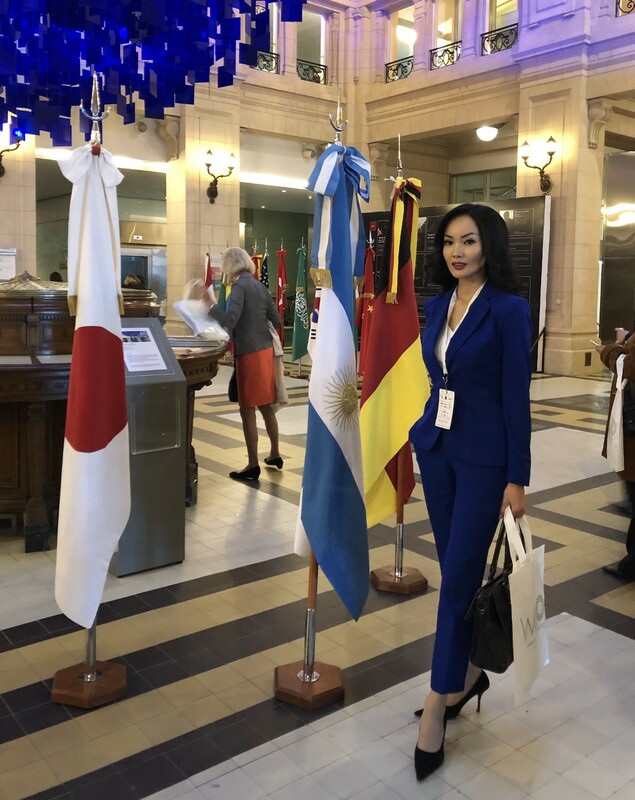 There’s lots of work to do, future awaits our commitment, everyone can involve, everyone can contribute not only to the summit but to the ACTION itself, out there where the real issues happen. Improving women’s lives is equal to a better economy, a better digital adoption and equality between genders! The solution is right in front of us, we just have to embrace it.